These AN port style fittings are designed for use with Earl's UltraPro and Temp-A-Cure oil coolers. The O-ring port threads are slightly shorter than most ORB fittings to avoid bottoming out inside the cooler and to improve oil flow. 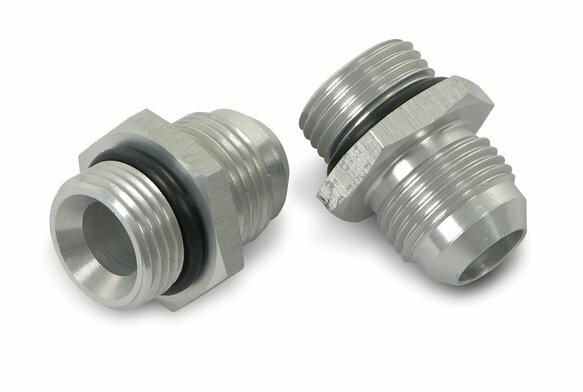 These fittings are available w/ -6, -8, -10, and -12 AN male Flare (the ORB end is -10 AN). Sold in packages of 2 pieces.